Christmas is hard. Also, that’s what she said. This doesn’t mean that we don’t like Christmas and all of the trappings that go along with it. This means that there’s death and grief and trauma. Divorce and job loss and money problems. Torn up relationships and depression and disappointments. Real life does not take a holiday. It’s not even that we don’t know what we want. This year, I know what I want for Christmas. I haven’t always been so sure regarding what is on my Christmas list, and I’ve traditionally held a healthy respect for people who know exactly what they want. Take Sally in A Charlie Brown Christmas. She enlists her big brother Charlie’s help to write a letter to Santa, including a request for a long list of presents. When she asks for cash, Charlie can’t take it and runs away, horrified by his sister’s capitalist bent. 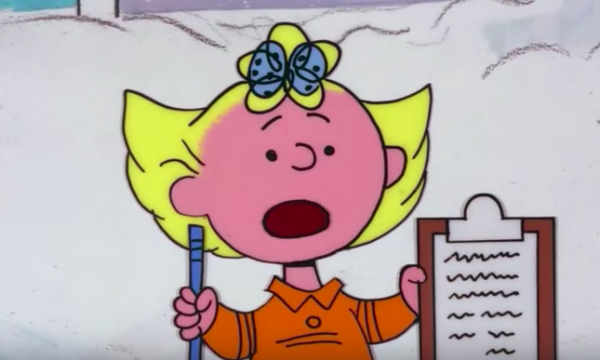 In the age of Amazon wish lists and songs mentioning the desire for a hippopotamus or two front teeth on Christmas morning, it’s difficult to ignore the question, “What do you want for Christmas?” This year, I feel like Sally. All I want is what I have coming to me, all I want is my fair share. All I want for Christmas is to be made whole. 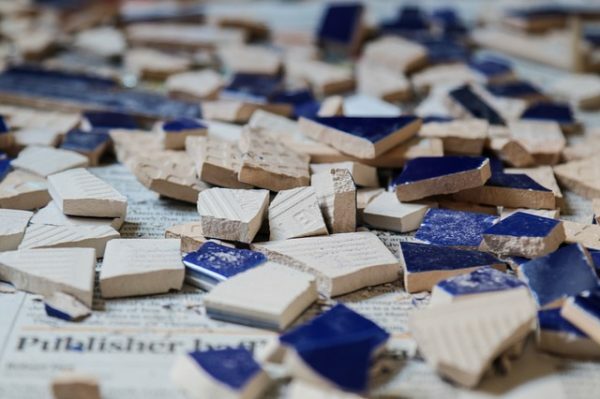 What does it mean to be made whole when you’ve been shattered? Not once, not twice, but repeatedly through experiences of grief and trauma? Shortly after Thanksgiving, my soon-to-be ex-husband and I met at the county courthouse to file our divorce petition. Filing for divorce smack in the middle of the holiday season seemed fitting, somehow, as this time of year is traditionally the worst for me. I have been diagnosed with post traumatic stress disorder as a consequence of childhood sexual abuse and related trauma, and much of which centered around the holiday season. To say that I don’t like Christmas is a gross understatement. However, in a combination of delusion, denial, and good intentions, I buried these facts under a pile of tinsel, ornaments, shopping, and frosted sugar cookies, and put a gold, shiny star on top. I had children. I wanted to make Christmas a meaningful and fun time of year, with memories that we could cherish for years to come. Yeah, pure delusion. All I managed to do was heap unrealistic expectations on myself and collapse on Christmas afternoon, exhausted and depressed. But my desire to be there for my kids, to make meaning out of my years of suffering, to find joy in misery, was stronger than any other impulse. I am a survivor. That is what I do. Imagine my surprise when I discovered how much I wanted what I considered to be my Christmas ornaments as the first post-divorce holiday season loomed. One of the ways that I have tried to make lasting meaning during this time of year is through ornaments. Each year since my kids were born, I have gotten them an ornament that is solely theirs, and when they move out and start life on their own, they will have a collection of ornaments with which to start their own tree-trimming traditions. In the course of this practice, I also bought ornaments for me. I said that they were for the us that was our marriage, but they were mine. Mostly, they are a collection of tree ornaments from my travels, a way to honor my tradition and get a souvenir in remembrance of each trip. 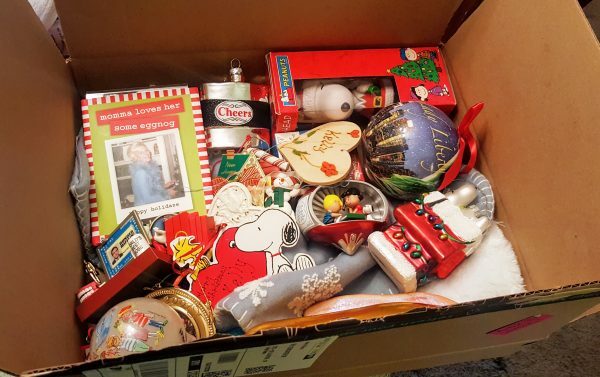 When my soon-to-be ex emailed me that he was getting the Christmas decorations out and sorting through them, I burned with a desire to get my ornaments. I had no intention of getting a Christmas tree or even acknowledging the holiday at all, but these were my memories. I felt lost, between homes – not between houses, but between homes. These ornaments were pieces of the life I once lived, a comfort as I was coming out of the darkness of suffocating grief and into light. Can Christmas Help Make Me Whole? Recently I’ve been attracted to mosaics, more so than in years before. I’ve always loved that medium, piecing bits of shiny glass together. Edges smoothed out to avoid cuts and scrapes, but not sitting flush. Not like puzzle pieces that have been specifically made to be put together, smooth and flawless around their edges, cardboard that can be easily torn. Bland colors and shapes that can be in the carpet lost because they don’t twinkle in the light. Don’t get me wrong, I like puzzles, the infinite satisfaction of clicking pieces together into a whole. There is no denying the challenge and skill of piecing together a good puzzle. The creativity, though, has been done for us. We can look at the box and see what the whole should be, is supposed to be. How many of us have lived our lives in this way? I put up a Christmas tree because I wanted to for my kids. I bought the Christmas decorations because I tried to make the best of it, as I was told to do for so long. I chose the Christmas ornaments because that was what was expected. I thought that doing what I was supposed to do would make me whole. I was wrong. Not to say that all effort is wasted, even when the intention is skewed. I no longer want to do what I am “supposed to do.” I want to be open to life as I experience it, not try to make it into what I think it should be. Which means that I went ahead and took my Christmas ornaments, those pieces of my old life. Sure, Christmas is hard and long and relentless (also that’s what she said), but this time of year holds a lot of good memories and joy and love, too. I even have favorite Christmas ornaments that I will keep forever. And there are some that I took to – I’m being quite frank here – burn in my backyard. 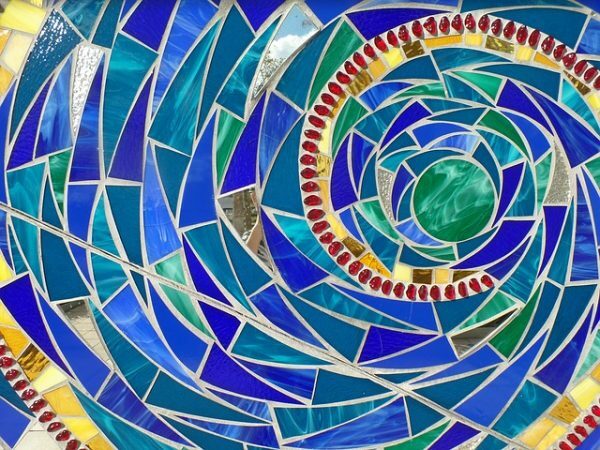 Each step in this grief process, each memory, each ending and new beginning is a piece of glass being polished and smoothed for my completed picture. A mosaic. Pieces that I am putting together to make myself whole.